We haven’t talked about Kimber Modern Rainey here for a while. Its seemingly eternal permitting limbo might have made you think it wasn’t going to happen. You’re wrong; it’s coming and it’s close. Design with Kimber Modern has always been interesting. Add Acero Construction into the mix and you end up with something altogether different. Ok. We started with a darker, more contrasty — could be a word– look, but the rooms have gotten blonder and a bit simpler. That said, the rift sawn oak will be a little darker and warmer than what your see here. We just don’t have the texture map. In the end it looks, well, like the Kimber Modern. Creekshow is done and our installation is packed away. It was a pretty incredible experience and we love having been a part of it. Elaine from our office took some really beautiful photos of the night. If you missed it (or just want to see the photos), please take a look at the project page. 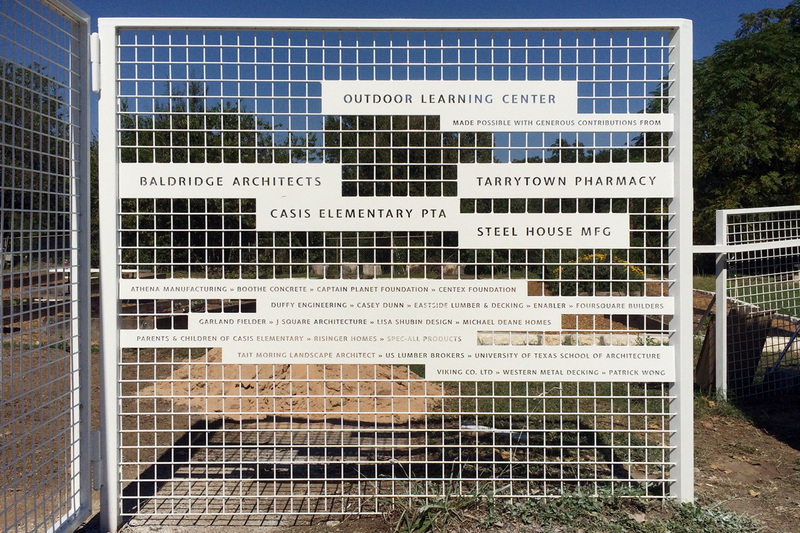 Big thanks to the Waller Creek Conservancy, Ingrid Spencer, Meredith Bossin and Melba Whatley for putting this together. 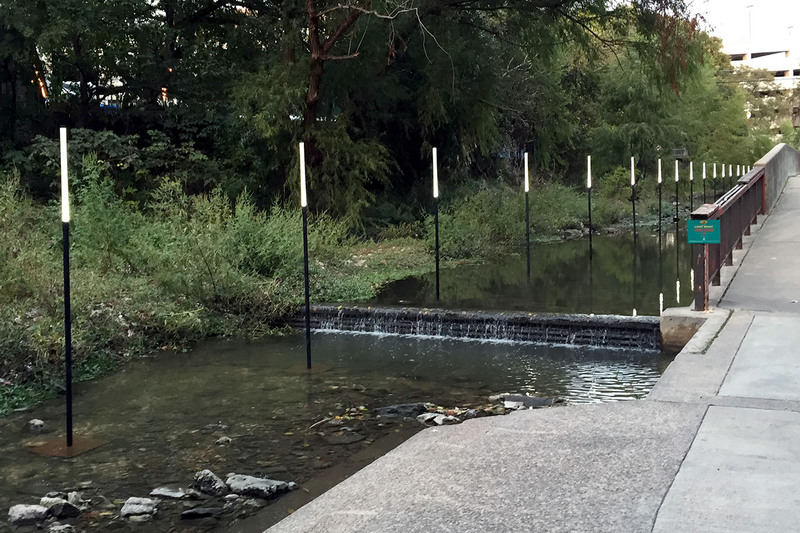 It was really cool to see so many people in Waller Creek last night. It was a very fun event (even though it was extremely cold). 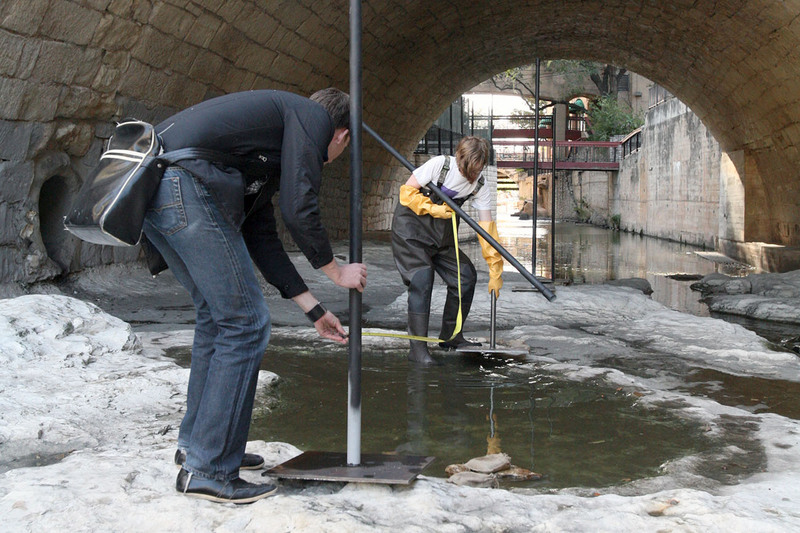 Really cool to watch people enjoy the creek and take selfies against our work. Instagram is peppered with indistinguishable photos of the installation, but this is what it looked like to us for much of the week. The installations are scheduled to remain through Saturday. If you have the chance, please drop by. It has been a cold and wet week to be sure. We set out with a plan that was ambitious but it looks like it is going to be pretty cool. 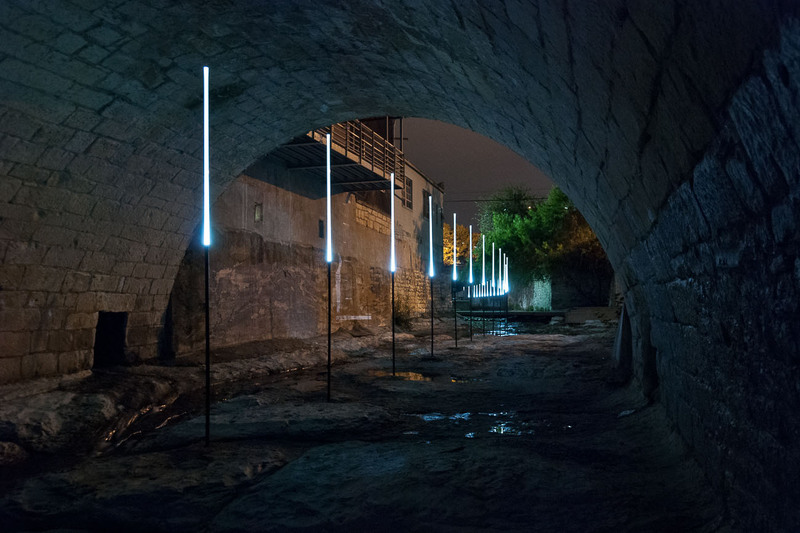 In grand baldridgeArchitects style the idea was floated that we might illuminate 1100 feet of the creek with evenly spaced LED tubes. What could be hard about that? What could go wrong? But the day is here. We hope to see you there! For more information check out the Creekshow website. 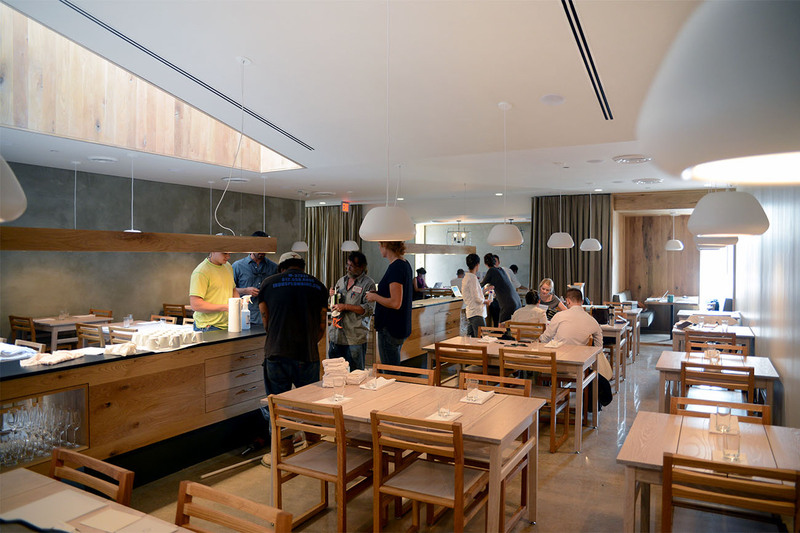 Gardner Restaurant opened to the public on November 3, 2014. Advance word is extremely positive. It was a blast to work with Ben & Andrew, as well as Frankin-Alan, Ann Lowe, Charyl Coleman and the inimitable Cody Haltom. We look forward to photographing the space, but for information about the project, check out the project page. Our client for the Pinwheel House asked us to make some changes to the master suite to provide some private outdoor space. We thought we might show this to him from a different view. 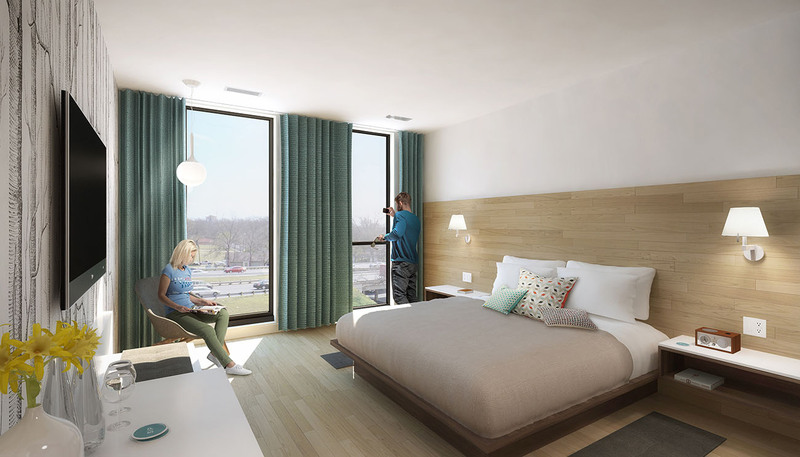 Tyler Frost is, of course, the rendering wiz here and we love the results. For more on this project, please take a look at the project page. Pinwheel is out for pricing presently — we cannot wait to see it start. 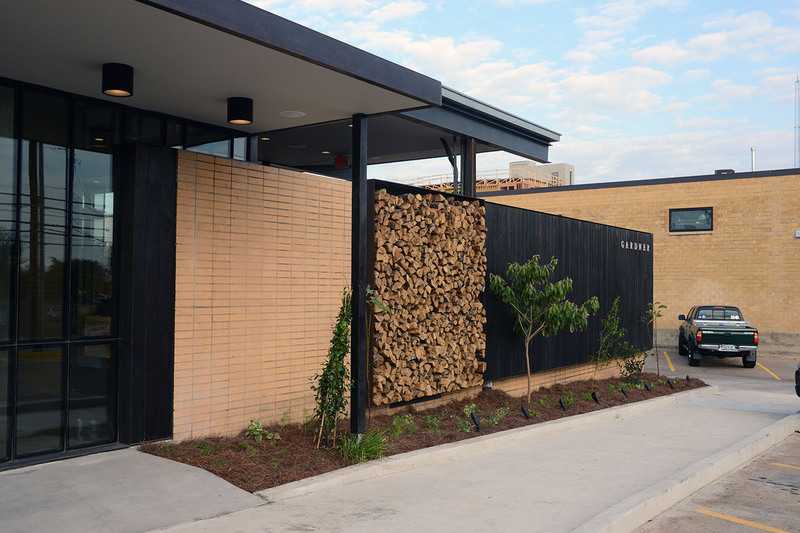 It’s almost showtime for Gardner, the new restaurant by Ben Edgerton and Andrew Wiseheart (of Contigo). It’s been a lengthy but fun journey. We are so excited to try it. We think it will prove to be well worth the wait. We wish them the best of luck in the coming days. We would show you the interior (it’s cool), but we are going to wait for a proper coming out party. For now, just a photo of what you can see from the street. Opening scheduled for Monday. For a little more (and we mean very little more) information, check out Austin Eater’s post today. Moises Mondragon painted today. At last, the donor acknowledgement is complete. Big thanks to everyone who helped in the field and big thanks to all of my employees, Casis Parents and UT Students who donated their own time to make the whole thing real. True to form, SteelHouse MFG insisted on donating the tricky installation of the sign. 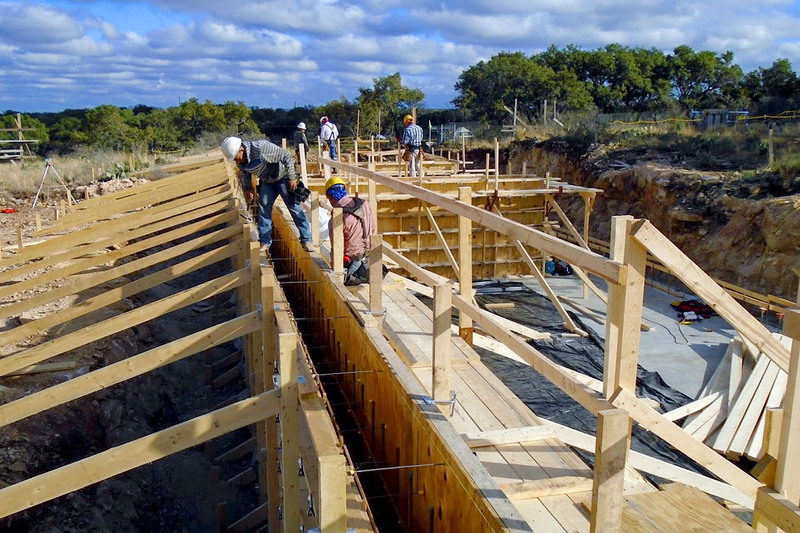 We are so thrilled to be working with Dalgleish Construction on our Fredericksburg project. This is a different ride than we have experienced in the past and we cannot wait to see the results. We are especially enjoying getting to know our construction manager Ryan Bates and the Dalgleish taskmaster Dean Schlapper. 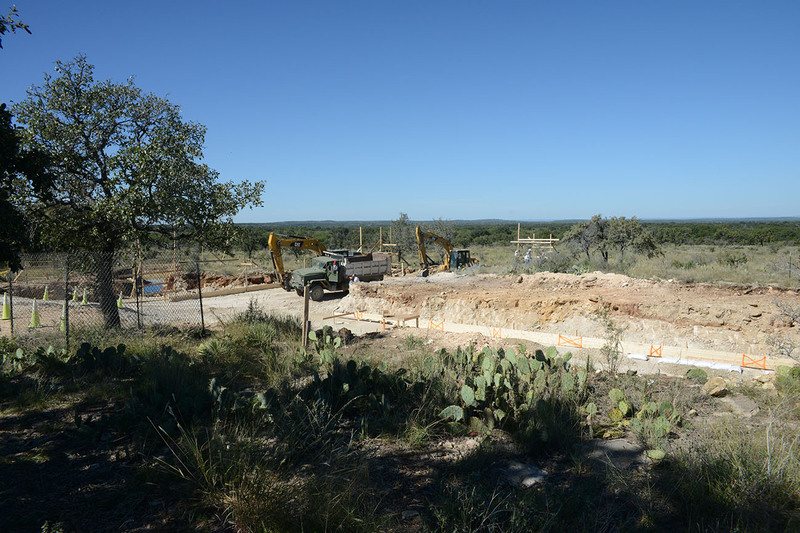 The excavation is complete and Rich Ponce with Austin Concrete Development has begun forming the foundation. Most of the walls that run east / west are architectural concrete. We can’t wait to see them. If you’re curious, you can read about the project at the Ledgecroft project page. The donor wall at Casis Elementary is finally in! Elaine and Burton visited today to check the progress and were delighted to see how much the vines have taken to the structure. 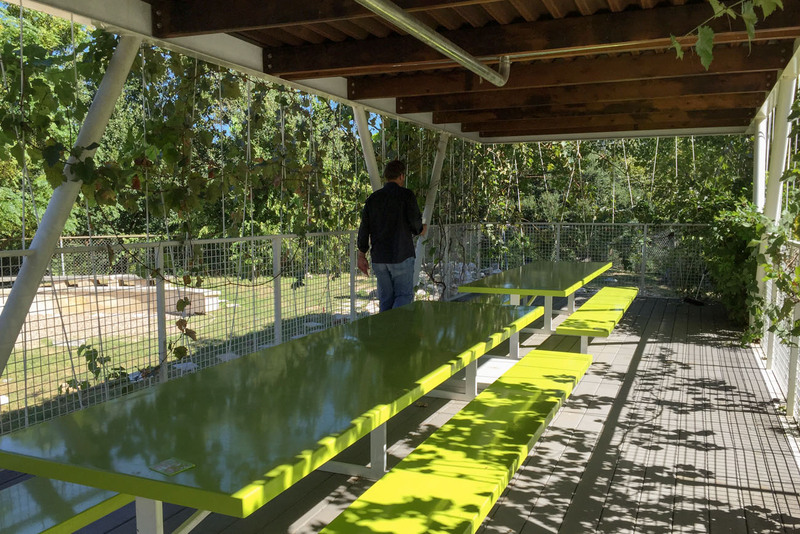 We installed these dowels in part to look as though the classroom had been wrapped in string by a child, but the intent was that they might support fruiting vines so that the structure might also act as a vertical extension of the garden. We were pretty stunned to see how it is working out. The sign is lovely (largely designed by Elaine). We’ll post pictures when it has been painted. The Pinwheel House is out to bid. While we work on some of the greater logistics, Tyler and Burton continue to work though the house. Following some input from our client, we just shuffled the media room a bit. 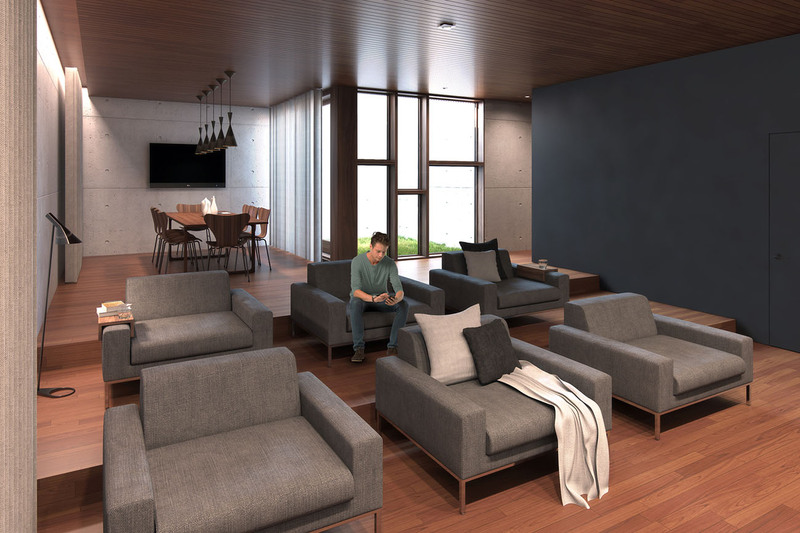 The attached rendering shows the quality of the space, if not the actual finishes. Given that Tyler is a V-Ray wizard, Pinwheel will be the most rendered of our projects. 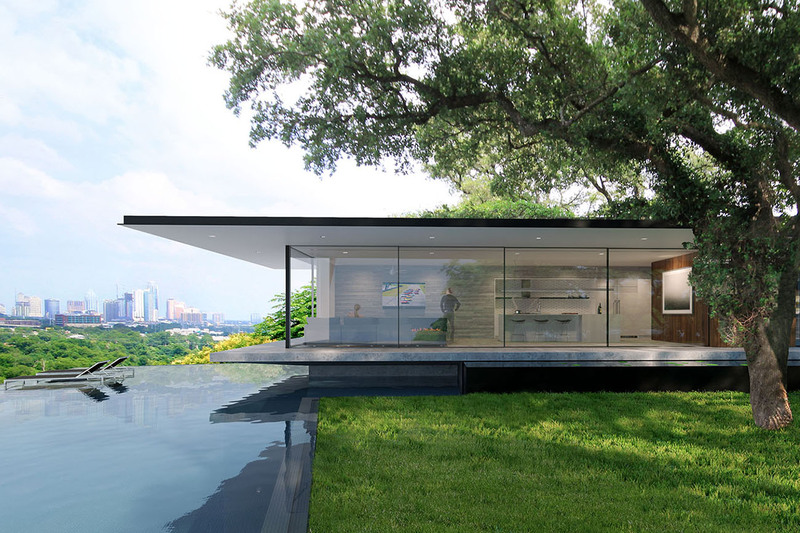 An early schematic rendering of a pool house in western central Austin. Sophisticated clients and a beautiful site. 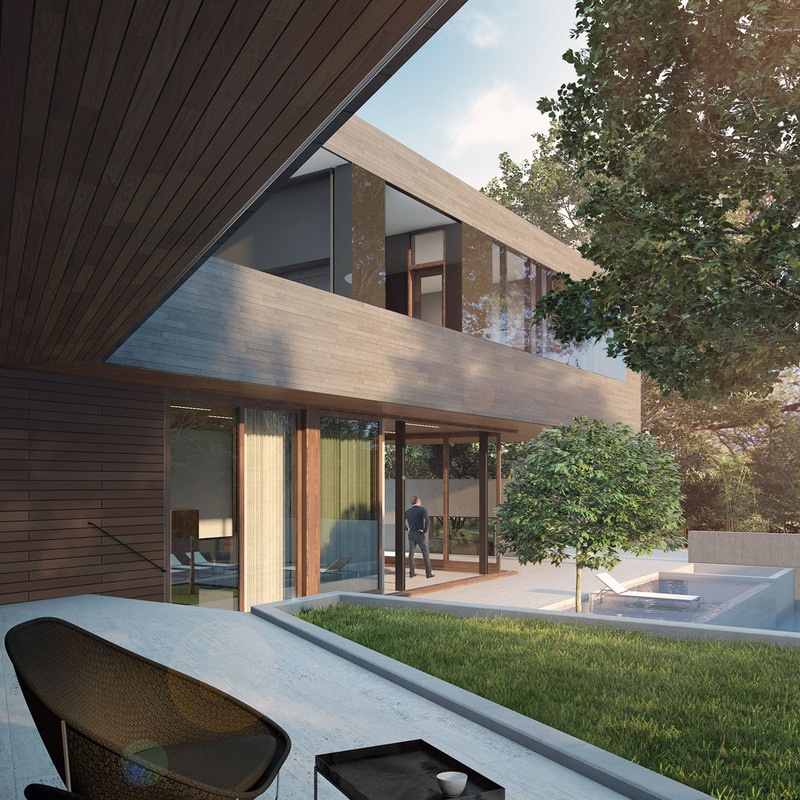 We will post more of this structure and the related principal house as we continue the design.